Lavender Body Polish, infused with Lavender and Ginger soothes and warms the skin. 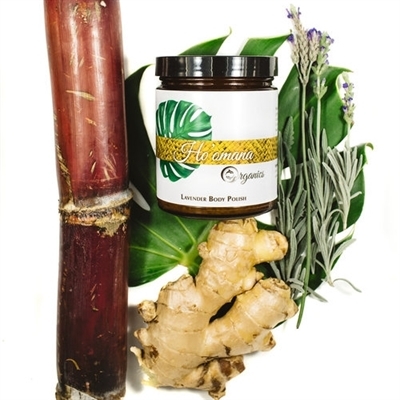 Hawaiian cane sugar replenishes and exfoliates, while Kukui and Coconut Oils Nourish and rejuvenate. Awaken your skin to a smooth silky glow.